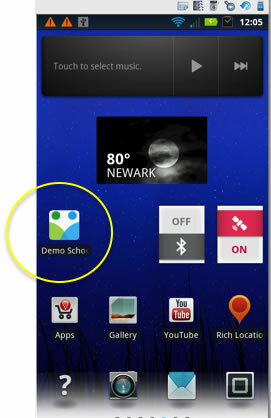 Select “Add to Home Screen” icon (encircled), Figure 2. Tap on the word ‘Add’ in the upper right hand corner of the screen, Figure 3. 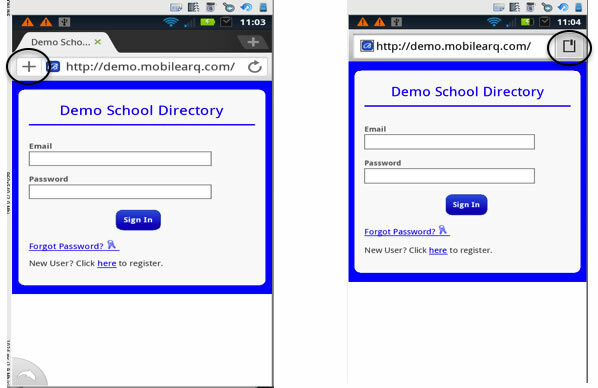 The bookmark will be placed on your home screen to access the directory login page with one touch, Figure 4. 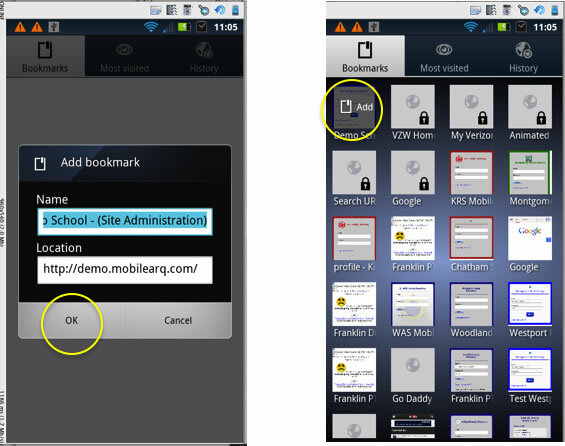 Upon entering the login page for the directory, tap the + button (encircled) or the bookmark icon, located on menu bar at the top (depending upon the Android browser). Then tap the OK button or Add Bookmark icon (encircled). 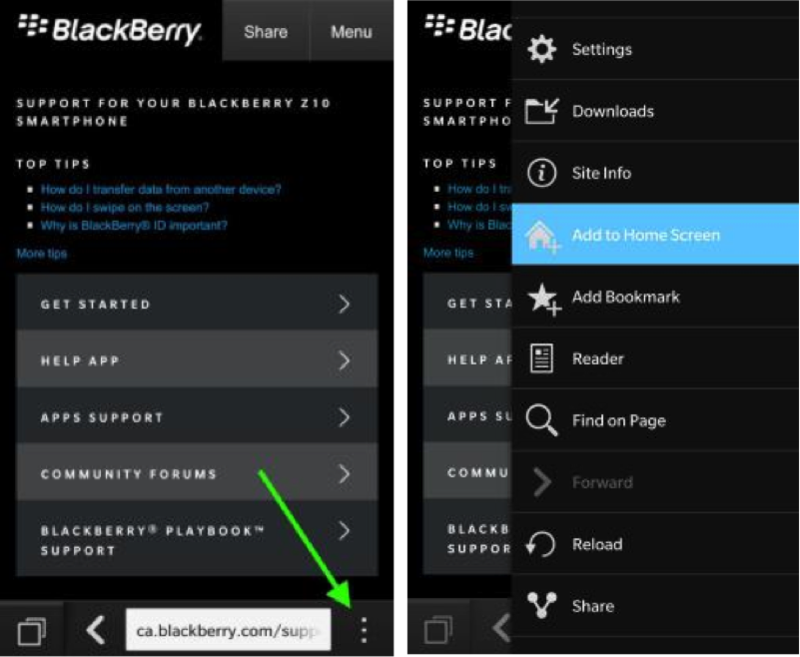 After the page has completely loaded, tap on the 'Star button' on the top bar – located on the right corner of the URL bar. 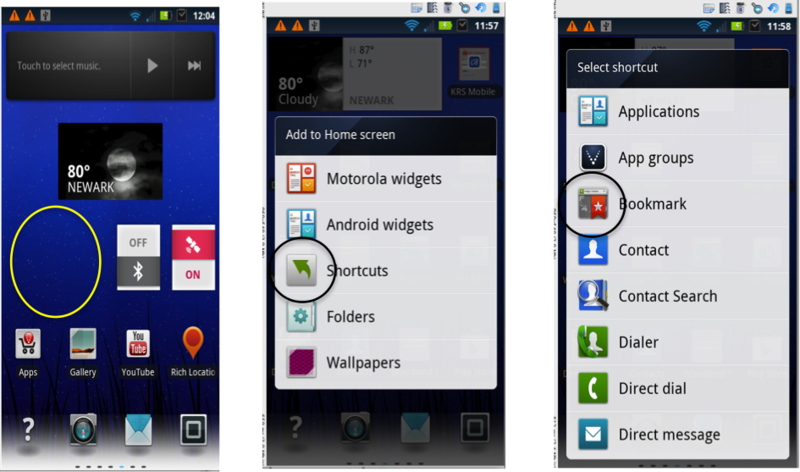 Tap on the 'Add Bookmark' and a new pop up window will that will provide you with an option you to edit the bookmark. Write the 'name' for the directory bookmark.